This paper examines how and to what extent Norway adapts to and is affected by the European Union’s policy towards its neighbours in the East. 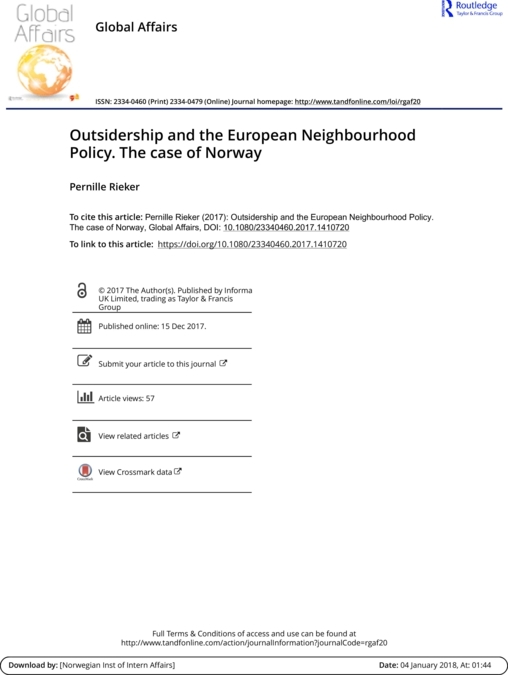 In line with the overall topic of the special issue, it investigates how Norway handles its ‘outsidership’ when formulating its policies towards Union’s Eastern partner countries that have signed Association Agreements with the EU (Ukraine, Georgia and Moldova). While Norway is not an EU member, it is still highly integrated in to most of the Union’s policy areas. It even has the habit of signing up to most of the EU’s declarations on foreign policy. However, the European Neighbourhood Policy is one of the policy areas where Norway is not participating. This means that it has the liberty to choose a different approach than the EU in its bilateral relations with these countries. Thus, this paper investigates what kind of balance Norway seeks between autonomy and integration in relation to the ENP partner countries. 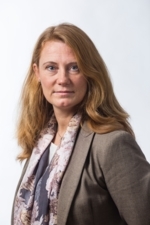 As this article shows, Norway seem to align itself to the policies of the EU also in this area, sometimes even without the Norwegian officials being fully aware of the extent to which this is happening.